Philosopher, novelist, dramatist and existentialist Jean-Paul Sartre is one of the greatest writers of all time. He was fascinated by the role played by the emotions in human life and placed them at the heart of his philosophy. This brilliant short work - which contains some of the principal ideas later to appear in his masterpiece Being and Nothingness - is Sartre at his best: insightful, engaging and controversial. 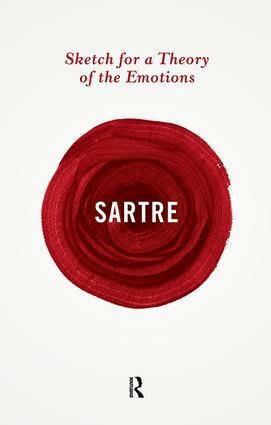 Far from constraining one's freedom, as we often think, Sartre argues that emotions are fundamental to it and that an emotion is nothing less than 'a transformation of the world'. With a new foreword by Sebastian Gardner.